When I received an email regarding the promotion of the Michael Kors sunglass range, all you regular Eltoria readers would of probably guessed that I did a little happy dance with a glass of wine to hand. I am a die hard Michael Kors fan, their watches, shoes, purses, handbags and sunglasses make me weak at the knees- the guy is an utter fashion genius. Every time I walk through a John Lewis the wealth and class of the Michael Kors range sings volumes above any other brand situated in its environment, for me, Kors is king! Therefore for this reason, I am extremely delighted to announce that the Sunglasses Shop have extended their range to stock the most beautiful designs from Michael Kors which has in my own opinion, exposed us all to the best designs that is currently out there on the market. So as you can imagine, I feel extremely privileged to be asked to launch a competition so that one of you can win yourself a pair of Michael Kors sunglasses of your choosing worth no more than £90.00 (click here to have a browse). All you have to do is follow the instructions below and enter via the Raffle copter. The competition will only run for 9 days, so make sure you follow the instructions carefully as I would hate for any of you to miss out! Oh pinch me, could it be true that these glasses can make anyone look good as Posh? Well I think so! The Kors brand can be described as American luxe and sportif chic which has become the ‘go to’ for modern women. The sunglass collection has been inspired by its ancestors (namely the MK circle) where the snake effect and chain links all transfer seamlessly into the sunglasses. The sunglasses I chose are called Violet, which features a round frame causing you stand out as they are fabulously oversized. 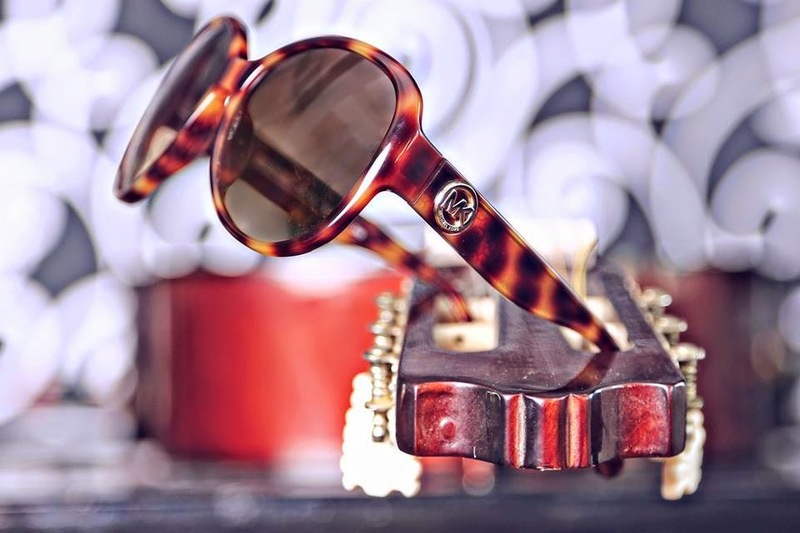 The main reason why I chose these sunglasses were for its tortoise design and showcased Michael Kors logo situated on the temples because it adds an element of sophistication to any outfit. The RRP on these sunglasses is £84.00, so the Sunglasses Shop aims to offer the best price possible. Can be combined with any outfit! All Michael Kors glasses come with a 2 year guarantee! Choose your pair by clicking here. So how can you win yourself a fabulous pair of Michael Kors sunglasses? It is mandatory to like the Sunglasses Shop on Facebook, and comment below the sunglasses that you would like (no more that £90.00 in value). You can select your pair by clicking here. Additional requirements are to follow Eltoria on Google connect (followers) and subscribe to the YouTube channel. These are not mandatory to enter but will give extra accreditation. You will be disqualified if you cheat or show any dishonest behaviour, for example, follow and then unfollow. Previous Post Reach For Gold!